Patchy Beard Styles. Men style lately has a lot being about beards and facial hairstyle. Men want to look more rugged and handsome, thus most of them are opting for beards, especially patchy beards. 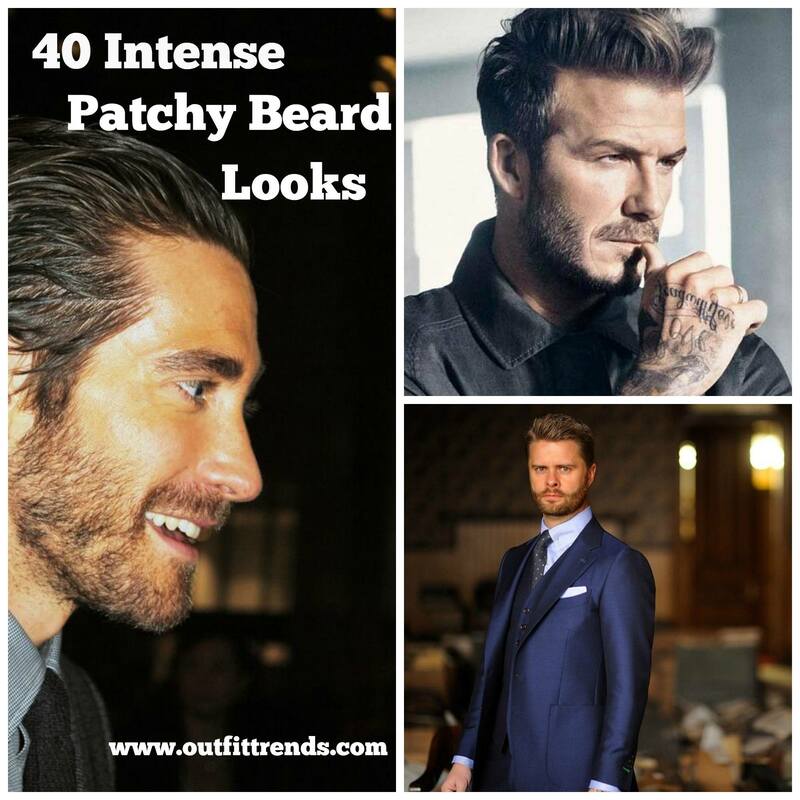 In order to help boys and men, we have compiled the best patchy beard looks so that men can easily choose the look that will suit their face cut and personality. We have already covered a post on How to Trim a Beard, where we provided you with step by step tutorial for trimming your beards. But today we will be focusing specifically on patchy beards since many of us face the issue of how to wear the patchy beards rightly. Hence we’ve also included a video tutorial which will help you learn the right way to trim patchy beards. So read on! Winter times and rugged look is an ideal combination. Men can layer themselves in multiple clothes, and opt for a medium stubble beard to look charming and handsome. For winters men can opt for a short stubble beard, as it can be easily managed with tons of layering of clothes. A great option for men who are getting married and want to have the crisp look, they can go for full beard but ensure that it is short in length. Men can benefit from combining different type of styles if they know what will suit their face cuts, for instance, a strap and a goatee can make you look stylish and elegant at the same time. The vintage look is everyone’s favorite. All you have to do is wear your beard more heavy on the chin part and make sure the hair on the sides are more trimmed and tamed. Men can play with their looks as well! Go for mustaches with a medium length full beard. This can compliment with multiple looks. Women love men with the rugged look, so you can now go for a rough patchy beard and inspire your lady! You can now prove people wrong if they say that with a beard you can’t achieve the nerd look. Opt for a disconnected mustache with a very light beard, wear suit and glasses and there you have the perfect nerd look. Men can benefit from the mutton chops beard style as well! A goatee infused with tamed mutton-chops style is ideal to create a formal look. One thing all men and women agree upon is that a simple goatee has its own charm. From teen boys to adults all men can carry this style. Sometimes men can make themselves look sharp just by pulling a simple attire with their rugged patchy beard. Some boys love to add bright colors to their outfits, for them the best advice we can give is to wear your light stubble with your funky dresses and be the cool dude. Men who have oval faces can easily manage a sharp look, by giving their hair a messy look and a medium trimmed full beard. For men who are always up to look stylish, well they can have shoulder length hair with modern mutton chop beard style to compliment the whole look. No one wants to do extensive styling on Sunday, for this purpose, the ideal way is to let your natural beard grow instead of shaping and styling them and rock the look. Outdoor works mean clean and decent dressing, along with the neat and tamed beard. You can have no or light mustache and go a little heavy on the beard but ensure that the hair is trimmed equally. For men who want to have the decent look for an everyday office look, well full beard combined with a goatee and a patch beard is the right choice. Ready to take your lady out for shopping? Dress in semi-formal wear and let your short stubble with a disconnected mustache make the mark for the day. When it comes to the young ideal who carries the best patchy beard looks, it is undoubtedly Nick Jonas. Copy his simple stubble style if you are a low maintenance person. Men who are in their middle ages can also carry a patchy beard but they have to ensure that the facial hair length is medium or a little longer as it gives them more mature look. School going boys want to achieve the rough and tough look, they can do it by going for a full beard but the hair has to longer in length so that they can look older and add a rugged touch to their personality. For men and boys who are afraid to experiment much, they can opt for the simple medium-full beard with defined hairline on the sideburns. This is decent and suits all face types. Young boys who want to experiment can do it by keeping an extra patchy beard, this means it isn’t as consistent and falling into place like a regular one, it has a lot of rawness like the one here in reference. 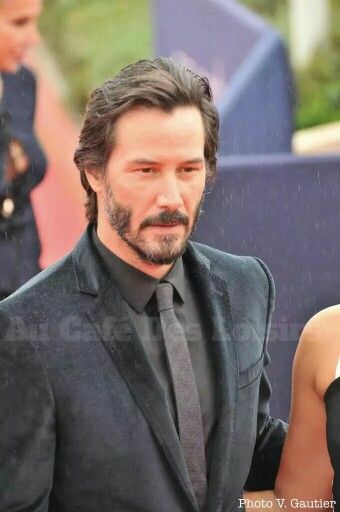 For men who want to have the perfect gentleman look, they can copy Keanu Reeves, edgy beard with more hair on the sideburns and a regular goatee. Want to keep it minimal yet smart on your coffee date? You can compliment your short stubble with Raybans and a trench coat and uplift your look. 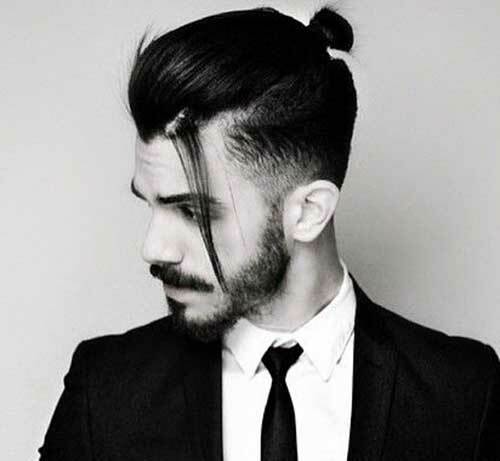 Man-bun is the most cherished fashion trend these days, so compile it with your edgy goatee and there you go, the perfect crisp look. Not all men are in favor of wearing funky clothing, however, you can wear funky formals to different events or even to your office with a heavy beard with less or no defined lines. All men can pull off the classic look with confidence and interestingly it suuits most men. A simple medium length beard with neatly pulled back hair. An interesting way to go about your patchy beard is to keep it as minimal as possible, for instance, a chin beard only with no mustache or connected beard can work wonders if you carry it with confidence. Patchy beard compliment the gym look a lot! So guys you can carry it off with gym outfit and will still look dope. Add on some spikes and a short stubble, this look is youthful yet impactful and will compliment your beach party attire. David Beckham is a fashion idol for men, like him, add some voluminous spikes with a full beard and disconnected mustache to add charm. Men can wear colorful clothes instead of restricting themselves to blacks and grays. The additon of color will naturally uplift their face and the patchy beard. Most men add mustache to their beard as they know additon of mustache gives a gentle look to the edgy beard nad it makes them look more attractive. Men can also benefit from adding accessories, for example, a woolen hat in winter can make your patchy stubble beard look more prominent and attractive. Planning to spend the day at home with your loved ones? Well let your hair be a little wild and for your facial hair, follow the same trend, let them grow wild but to medium length only.